The Talisay to Tagaytay road in 1945. Image source: The Angels: A History of the 11th Airborne Division 1943-1946. Colorized courtesy of Algorithmia. As the liberation of the Province of Batangas by the United States Army from Japanese occupation went into full swing early in 1945, the United States Army employed a two–pronged pincer attack from the town of Nasugbu where its troops had landed on the last day of January. One arm of the pincer swung south through Tuy, Balayan and Lemery before heading south to the Calumpang Peninsula and Batangas Bay. The other headed west through Tagaytay then south to Tanauan through Talisay. As the American soldiers advanced deeper into the province, with the advance came the logistical problem of keeping communication and supply lines open with the troops in the front. From the landing of forces on the beaches of Nasugbu, by February the headquarters of the 11th Airborne Division, the spearhead group of the campaign in Batangas, was transferred to Tagaytay Ridge1. The southern Arm of the pincer was assigned to the 158th Regimental Combat Team (RCT), which met little resistance after leaving Nasugbu until it reached the outskirts at Lemery. To get to Lemery from Tagaytay meant making the roundabout using Route 17 down to Batulao and Palico through Tuy, Balayan and Calaca. Given the demands of warfare, a shorter route was necessary. 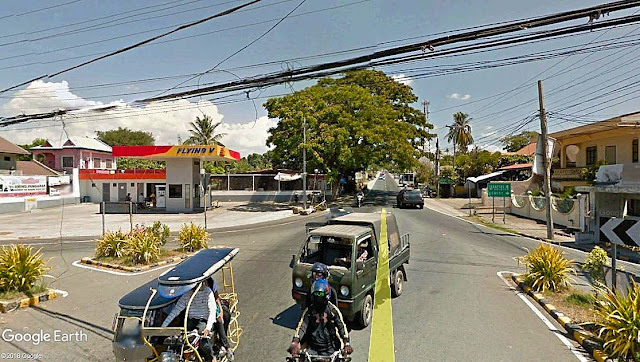 This Shorty Road in most likelihood was what in the present day is called the Diokno Highway, the entrance to which from the Lemery side is shown below. The present-day Diokno Highway leading to Batulao. Image source: Google Earth Street View. 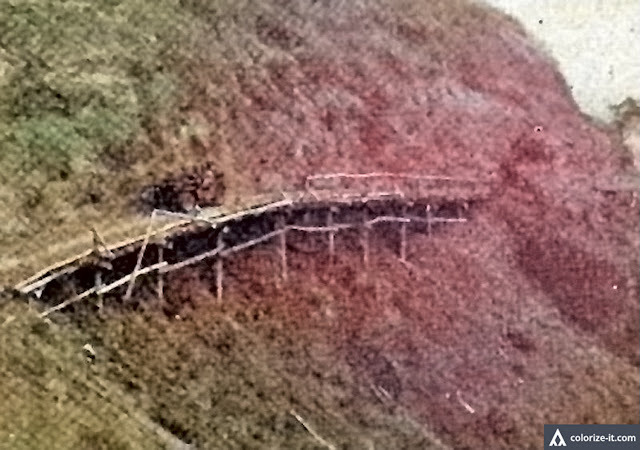 The road that Flanagan was referring to was the Talisay to Tagaytay road, shown in the top picture, something of an engineering feat because of the steep inclines that had to be conquered. The road, totaling 3.8 miles and descending 2,167 feet and completed in just five days, was crucial to the forward movement of the 187th Glider Infantry Regiment in flanking the 511th Parachute Infantry towards Talisay. This is probably the same road that, in the present day, branches out into two descending roads towards the Talisay to Tanauan City Road, one of which is show below. 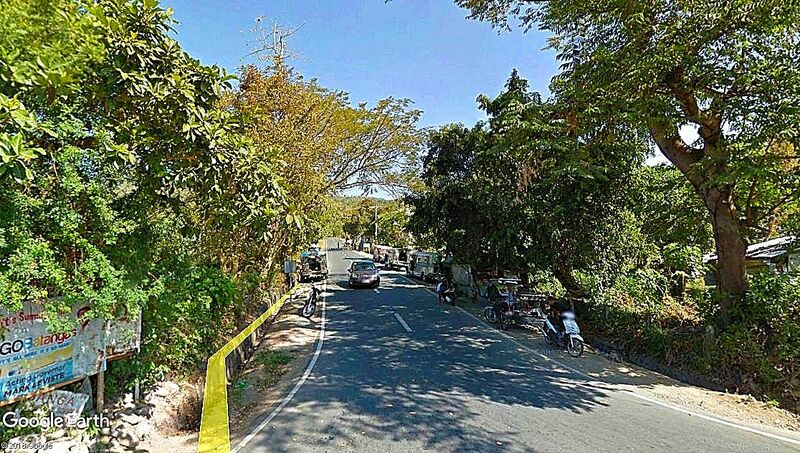 The Ligaya (or Lagaya) road in Talisay which leads up to Tagaytay. Image source: Google Earth Street View. Below is part of the road leading down to Canlubang from Tagaytay. 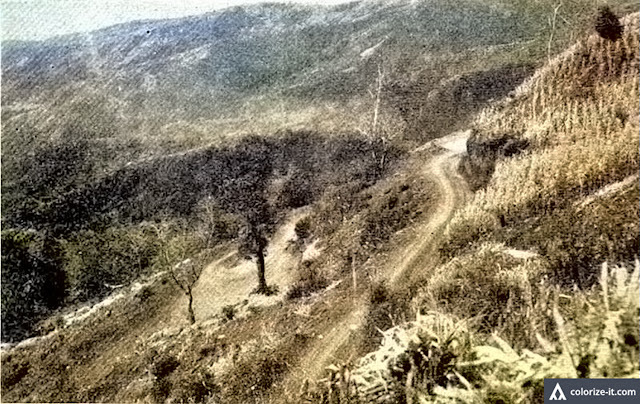 The treacherous Tagaytay to Canlubang road in 1945. Image source: The Angels: A History of the 11th Airborne Division 1943-1946. Colorized courtesy of Algorithmia. 1 Most of the information in this article about the Nasugbu Landing are taken from “The Angels: A History of the 11th Airborne Division 1943-1946,” by Major Edward M. Flanagan Jr., published 1948 in Washington. 2 In this context, debouch means “to emerge from a relatively narrow valley upon an open plain.” Dictionary.com. 3 Mount Sungay is an inactive volcano to the east of the Tagaytay mountain range. It is within the boundaries of the Province of Cavite. “Mount Sungay,” Wikipedia.